I landed a job as the director of Astro Artz, a small arts organization that published High Performance Magazine, a national journal of performance art. High Performance was the ultimate introduction to L.A. Unfettered and in my 20s, I went everywhere and saw everything—drag performers in Hollywood bars, drum circles in Watts, naked dancers under the 1st Street bridge. The experimental art space LACE opened its warehouse east of Alameda around that time and became a cultural magnet. On opening nights, huge crowds spilled onto the otherwise vacant streets. Music boomed in the dark from loading docks. There were larger, distinguished institutions, of course—the Norton Simon Museum, LACMA, The Music Center, the Hollywood Bowl, the Getty Villa. But young, scrappy artists were clustering around the uninhabited corners of downtown where space was plentiful and rents were cheap. The Brewery had opened on North Main. The Woman’s Building on Spring Street was humming. Self Help Graphics, on what was then Brooklyn Avenue, was a hub of political activism. At the same time, AIDS was decimating the arts community. Grief, panic, and rage were right on the surface of art. Artists were also wrestling with race, poverty, and identity politics. The work was gritty, brash, sometimes funny—and often framed in opposition to the mainstream. In those days, little in the L.A. arts scene had “arrived” in terms of infrastructure or economics. Yes, public dollars flowed with amazing generosity from the National Endowment for the Arts, but local support was modest. The L.A. County Arts Commission was supporting about 30 organizations, compared to the 300-plus that it supports with a much larger budget today. We artists complained about being in the shadow of Hollywood, and there was a fair amount of “us vs. them” sniping going on—nonprofit vs. Hollywood, L.A. vs. New York. But really, it was satisfying to be the underdogs. Without a bigger stage to aspire to, we banded together, experimented vigorously, and had a strong, almost tribal sense of community. The festival was so enormously successful that it had a second, shorter incarnation in 1987, highlighted by Peter Brook’s Mahabharata and Cirque du Soleil’s magical L.A. debut. Their appetites whetted, audiences called for yet another festival. A national search was launched for the director of a 1990 installment. The festival’s board landed 28-year wunderkind Peter Sellars, known for his provocative stagings of classic works in theater and opera. When Peter arrived in L.A., his plan was to mount something along the lines of an Avignon Festival, filled with innovative theater, music, and dance from Europe. But when he got here and looked around, he realized that none of that really made sense. He linked forces with Judy Mitoma at UCLA and Norman Frisch, a colleague from New York, to conceive of a Pacific Rim Festival that would consider L.A. from its vantage point on the western edge of the U.S., looking not toward Europe, but toward Asia and Latin America. I was privileged to join the festival team in 1988. It’s the most fun I’ve ever had at a job, and the hardest I’ve ever worked. For the next 18 months, we scouted locations for performances and met with community members to see who might like to host what. We worked energetically with local artists to weave them into the program. It was spectacular. Aboriginal dancers from the Mornington Islands invited an unsuspecting public to join them in performances at Griffith Park. Korean Shamans performed rituals at the base of the escalators in the Koreatown Galleria. The Chilean El Gran Circo Teatro performed under the stars on a specially constructed stage at the end of the Santa Monica Pier. Audiences spilled out afterward to join Japanese dancers from Gucho Hachiman in Bon Odori dance beneath the Ferris wheel. Amazing films screened at the Warner Grand in San Pedro to full houses. Ornette Coleman played the grand-but-not-yet-restored Orpheum on Broadway to a sold-out crowd on a night when the temperature topped 100, and the air conditioning went out. No one minded. Eighty percent of the Festival’s offerings were free, and everyone was happy. The 1990 Los Angeles Festival wasn’t so much a list of acts as it was an exercise in democracy. It was a sweeping invitation to Angelenos to explore our city. Peter’s vision of the festival was a remapping of L.A., both literally and figuratively. The festival became our excuse to go into neighborhoods we had never visited, to enter buildings we weren’t sure we were welcome in, and to see ourselves on stage. Much of the work was rooted in community. Most of it was spiritual or political in nature. The festival was also the product of a long, messy curatorial process that engaged hundreds of artists and community members. That’s what I valued and learned from the most. It was the first time I felt that my work in the arts connected to a broader civic agenda, and that was deeply satisfying. Last month marked the 25th anniversary of the festival, and I’ve been reflecting on why it was such a success, and why we haven’t seen anything quite like it since. The magic of 1990 was a timely confluence of power and intellect. Peter inherited Bob Fitzpatrick’s board of major civic heavyweights. Mayor Tom Bradley, who was famous for holding monthly citizen drop-ins at his office and had a keen focus on L.A.’s multiculturalism, also put his full weight behind the festival. He made personal calls to bring in the necessary funds. Unfortunately during that time, the city also saw an out-migration of Fortune 500 companies, the consolidation of banks, the bursting of the Japanese economic bubble, the first big manifestations of Reagan supply side economics, the War on Drugs, rising homelessness, the inauguration of the Culture Wars, and the subsequent decline in federal funding for the arts. After the civil unrest of 1992, the city came apart at its seams. Not surprisingly, money became harder to come by for big public events, and arts and culture took a back seat. The 1984 Olympic Arts Festival’s budget of $11 million had been paid for by five donors. By 1993, the Festival’s $4 million budget was paid for in 150 checks. There was little prospect of raising funds for a mostly free festival in 1996. But to L.A.’s credit, we didn’t give up in the intervening years. L.A. has been willing to invest in the arts in other ways, and continued to grow its cultural infrastructure substantially over the past two decades. Think what we have now that didn’t exist in 1990: Disney Hall, the Getty Center, the Skirball, the Kirk Douglas Theatre, the Broad Stage, and the new Broad museum, among others. I have hope for another incarnation of the Los Angeles Festival. It will probably have to take another form, because festivals are very expensive. But with L.A. bidding for the Olympics again, who knows? Peter Sellars, who continues to produce path-breaking performances all over the world, is considering launching a cross-sector cultural lab in L.A. that would look at civic and political issues through the arts. And we now have an extraordinary roster of creative artists and leaders, too numerous to name, who could help lead the way. Whatever the configuration, the energy is here. Amid urgent discussions about gentrification and displacement in Los Angeles, we are seeing an appetite for large-scale public gatherings. CicLAvia has captured our hearts, ambitious plans are afoot for the L.A. River, Grand Park and Grand Performances draw record crowds, Pacific Standard Time is coming around again, and Zócalo events are packed. L.A.’s arts community has become more sophisticated in understanding the interdependence of the for-profit and nonprofit arts arenas. Political and civic leaders have come to recognize that L.A.’s creative economy is its strength, and its brand. 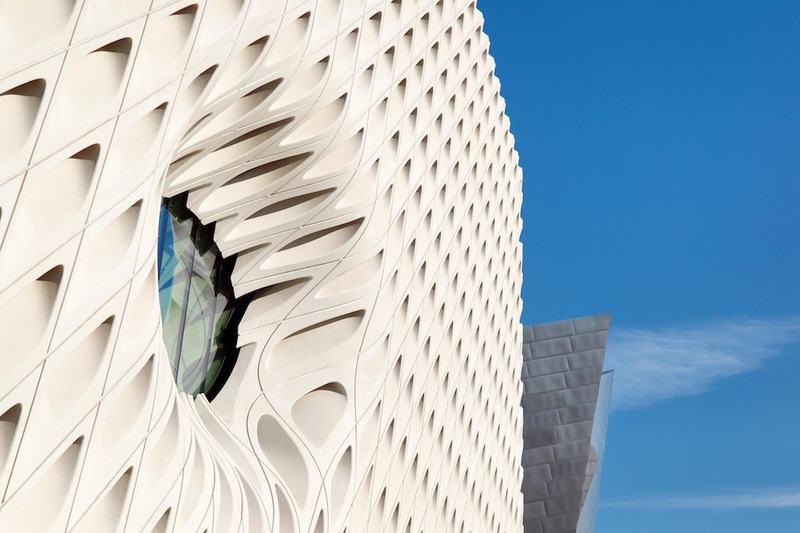 Los Angeles has the nation’s greatest concentration of art schools. Large numbers of artists train here, and choose to remain. Commercial galleries have sprung up and stayed. Artists move fluidly among for-profit, nonprofit, and community work. But the best news is that we continue to have young, scrappy artists. I don’t see them as much as I used to, because I’m in my 50s now. It all depends on where you stand. In the late 1980s, I was close to the ground. Now I have inched closer to centers of power, a hazard of age and career, I suppose. But I’ve been watching artists migrate, as they always do, to hot spots in Frogtown and Pacoima, among other neighborhoods, as well as to the industrial margins of downtown. Instead of perching in nonprofit arts spaces, many are self-organizing in garages or lofts, running hybrid creative businesses, or simply bartering skills to pay for their work. Curiously, my work now is less explicitly focused on the arts than it used to be. I work for an organization that describes itself as place-based and issue agnostic. But what I continue to strive for is a creative, just, and livable Los Angeles. A city where the arts move right through the center, not unlike that elephant moving along Highland Avenue—perhaps unexpected, but also impressive, and utterly arresting. Claire Peeps is the executive director of the Durfee Foundation, a family foundation supporting individuals and organizations in Los Angeles County. This essay is part of Is L.A. Still a City of Big Dreams?, a project of Zócalo Public Square.